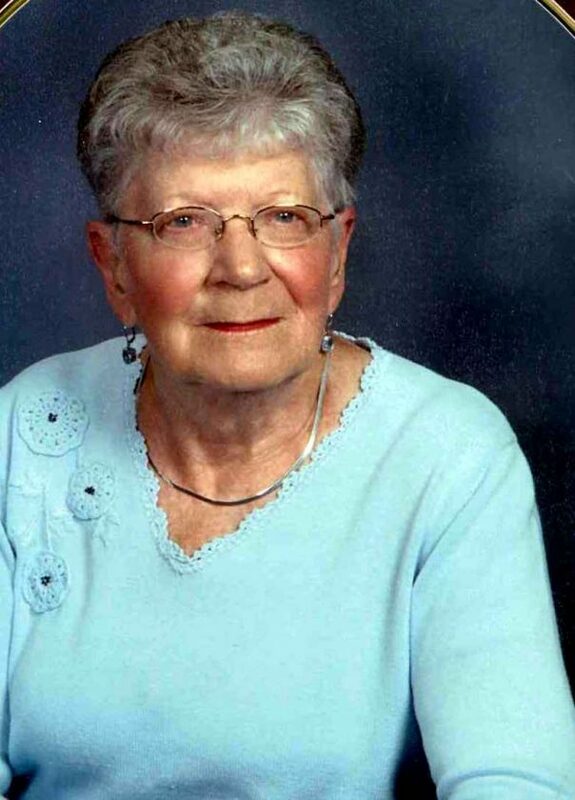 Arline R. Harvey, 96, of West Pleasant Street, Corry, Pa., died Thursday, Feb. 7, 2019, at the Corry Manor. She was born April 3, 1922, in Clymer, N.Y., the daughter of the late Lawrence and Jennie Duink Beckerink. Arline was raised and educated in Clymer, N.Y., where she graduated from Clymer Central School in 1940. Following her marriage, she lived on the State Line Road a number of years before moving to the Corry area. Her priority was raising and caring for her family. She then worked at the Clymer Bag Company and other various places of employment before retiring from Elgin Electronics in 1978, after 15 years of service. Arline and her husband spent several winters in Bushnell, Fla., following their retirement. She enjoyed crocheting, embroidery, flower gardening and camping. Arline learned how to swim in her 50’s and swam at the YMCA every day for several years. Arline was a very active former member of the Evangelical United Methodist Church in Corry, as a Sunday school teacher and a Sunday evening youth group leader. She was a current member of the Faith Evangelical Church for a number of years. In addition to her parents, Arline was preceded in death by her husband of 61 years, Lloyd J. Harvey, on Dec. 3, 2002. Also preceding her was her son, Jerome “Jerry” Harvey; a grandson, Todd Harvey; her son-in-law, Carl Clabbatz; her twin sister, Pauline Johnson and her sister, Dorothy Hodges; and two brothers: Howard and Ivan Beckerink. Arline is survived by her daughter, Zuella “Penny” Clabbatz of Columbus, Pa.; her son, David Harvey and his wife, Carol of Clymer, N.Y.; daughter-in-law, Geraldine “Gerri” Harvey of Armada, Mich.; and her brother, Robert Beckerink and his wife, Carolyn of Clymer, N.Y. She is also survived by 11 grandchildren, 19 great-grandchildren, seven great-great- grandchildren; and several nieces and nephews. She was truly a blessing to everyone who knew her. Family and friends may call at the Faith Evangelical Church, 13444 W. Washington St, Corry, Pa., on Wednesday, Feb. 13, 2019, from 11 a.m .until the time of the funeral service at 1 p.m. Pastor Lynn Cirigliano will be officiating. Funeral arrangements are under the care of Bracken Funeral Home Inc., 315 N. Center St. Corry, PA 16407.